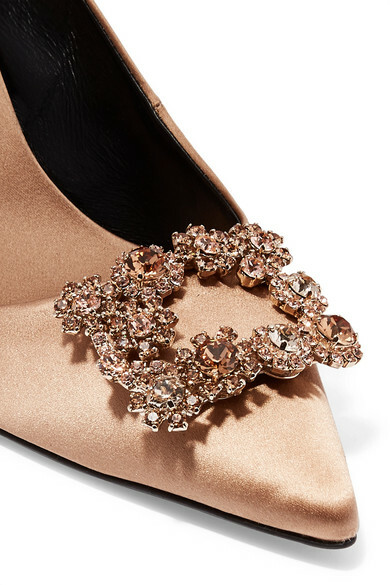 Kate Bosworth and Celine Dion love Roger Vivier's 'Flower' pumps and you can join the fanclub too - they've been re-imagined for Fall '18 in a slingback silhouette and lustrous beige satin. 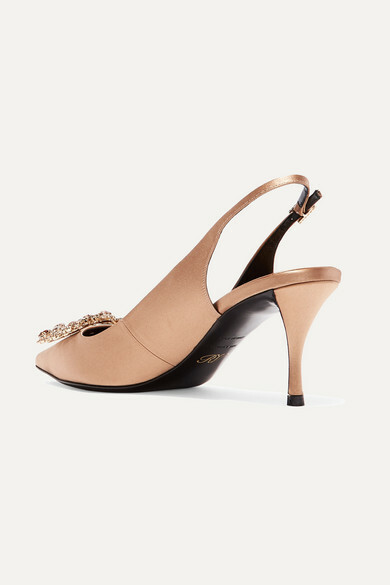 The ornate buckle is inspired by Rococo interiors and hand-set with Swarovski crystals using fine jewelry techniques. 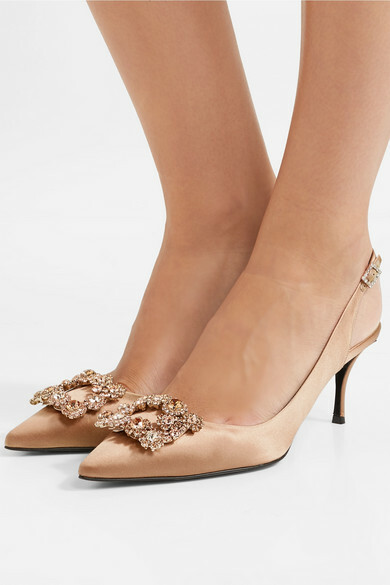 Their subtle sparkle will perfectly complement eveningwear but will dress up jeans beautifully too. 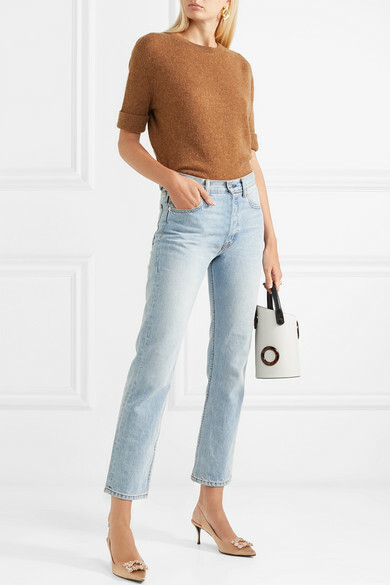 Shown here with: Goldsign Jeans, Khaite Sweater, Boyy Bucket bag, Alighieri Earrings, Jennifer Fisher Ring, Paola Vilas Ring.